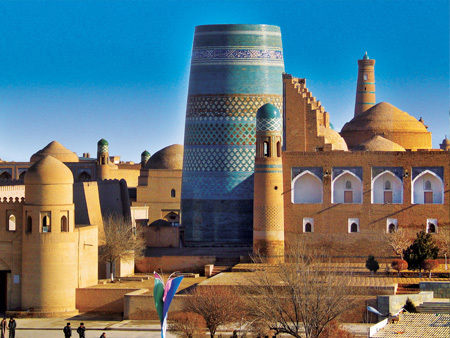 Khiva is known as a museum city under the open sky. It existed as a town for about 900 years, but was developed into the settlement as it is seen today only by the 19th century, when it was the last oasis on the northern Russian slave trade rout. Important spiritual and cultural values came form the large scientific centers of astronomy, mathematics, and medicine that existed in this area centuries ago. 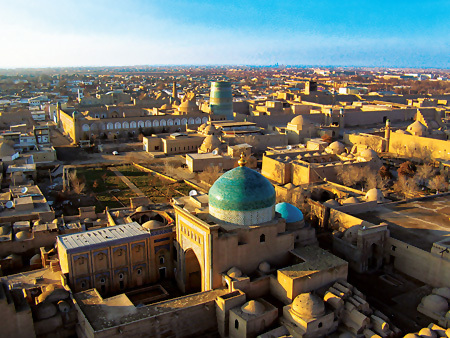 One can wander through the narrow streets of Khiva, peeking into the small courtyards through the wooden carved doors. The life inside the gardens assures the visitor that it is not just a museum, but also a living city. The most considerable architectural monuments are well preserved. 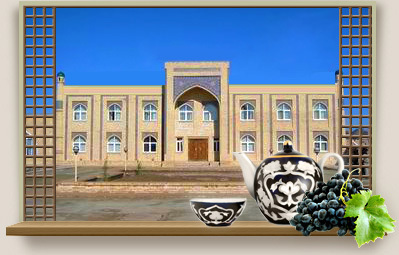 You can start your tour from the Western gates Ata-Darbaza. They were destroyed in 1920 and reconstructed during in 1975. The most ancient part of the city is the fortress Kunya Arch. The wall around the fortress was built in 17th century. It separates the fortress from the housing estates. Inside the fortress were mainly located the palace, arsenal, offices, the mint, and mosques.